The Cantonese word for lettuce (生菜, san1 choi3) sounds like rising fortune. 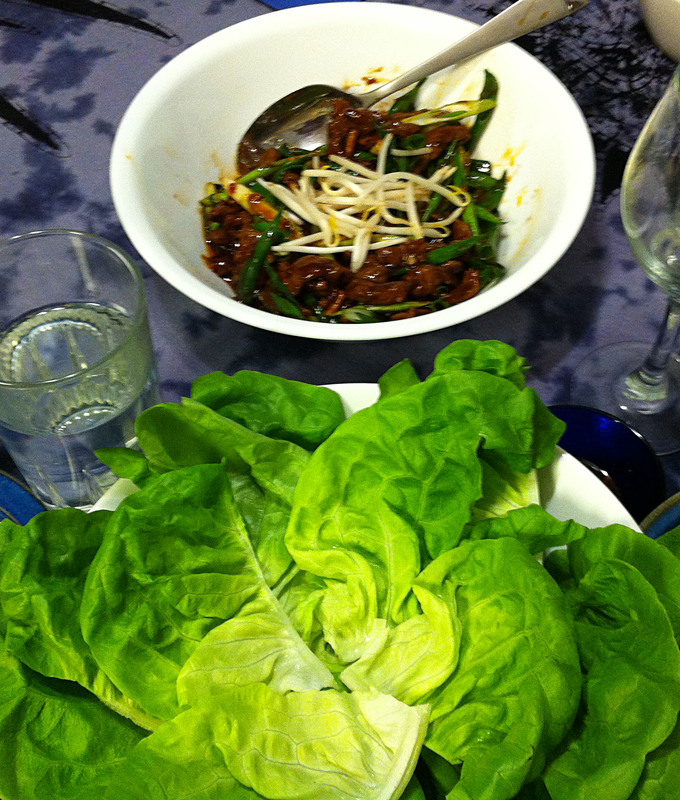 Lettuce wraps are an auspicious dish to serve on the New Year. These wraps can be filled with anything you would like to put in them. 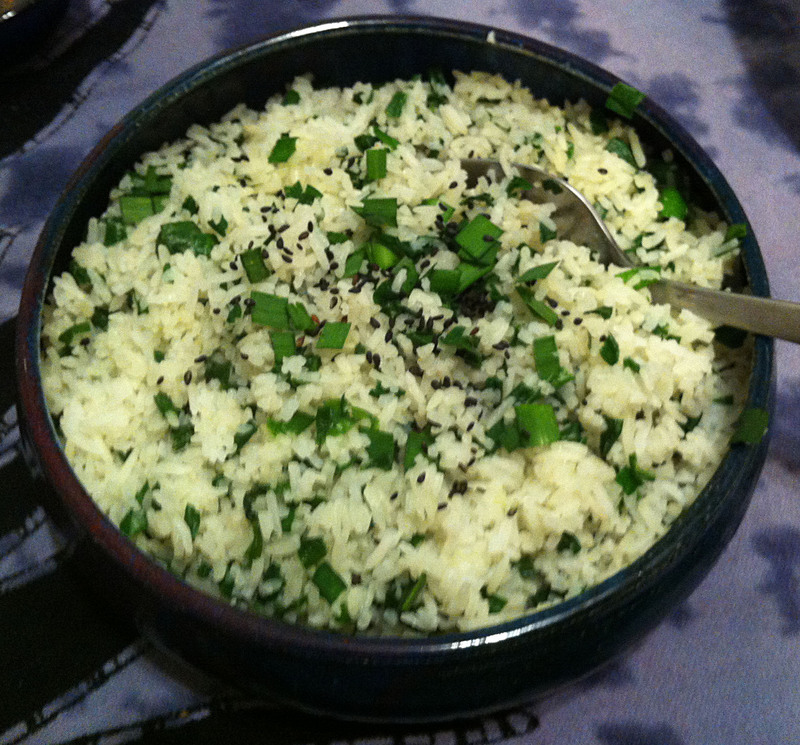 Lamb is an auspicious dish for my family—it is kind of a Lueck thing. I plan to fill my lettuce wraps with Mongolian lamb. Noodles are a symbol of longevity in Chinese tradition. 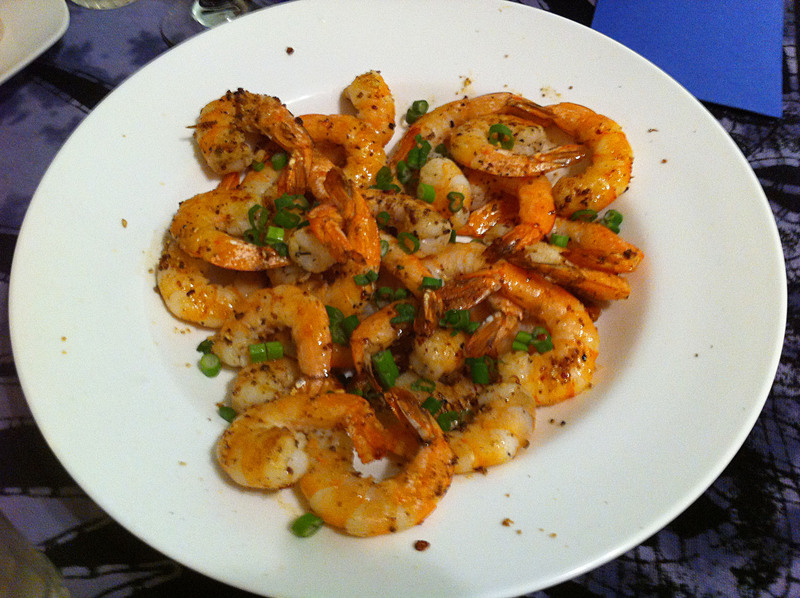 A usual recipe for Chinese New Year would be to serve these in a Longevity Noodle Soup. 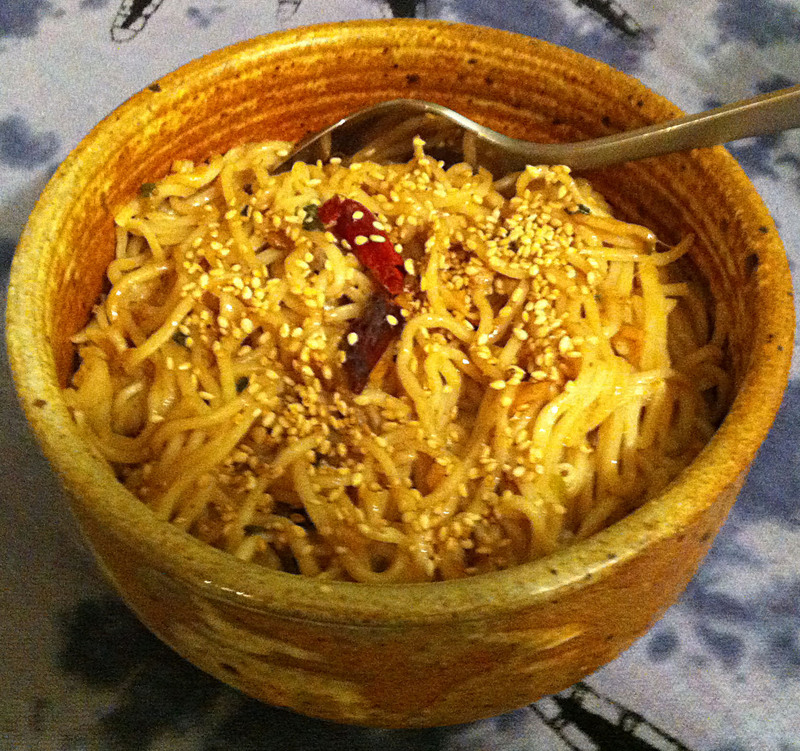 Traditionally, you slurp these noodles whole without breaking them, so that you do not cut your longevity short. For my birthday/New Year’s feast I decided to go a different route. 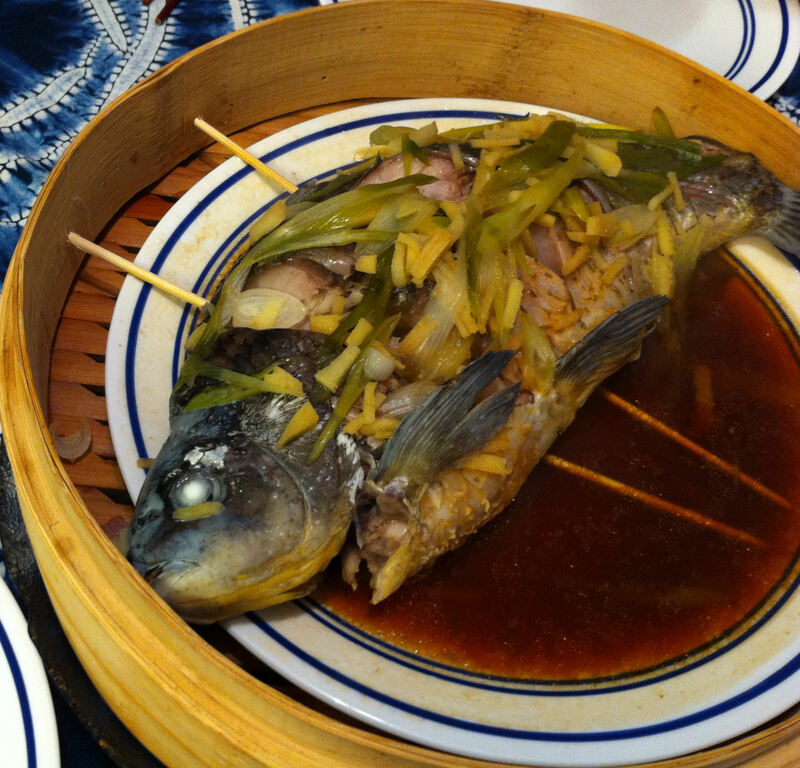 I have made steamed fish before, but this one is for a New Year’s dinner. I will be stuffing this one with “lucky” ingredients. Also, instead of cutting the ginger into match sticks I will be leaving the, as “golden coins,” because that is the way much of Chinese symbolism works; if it looks like the thing, it is the thing. 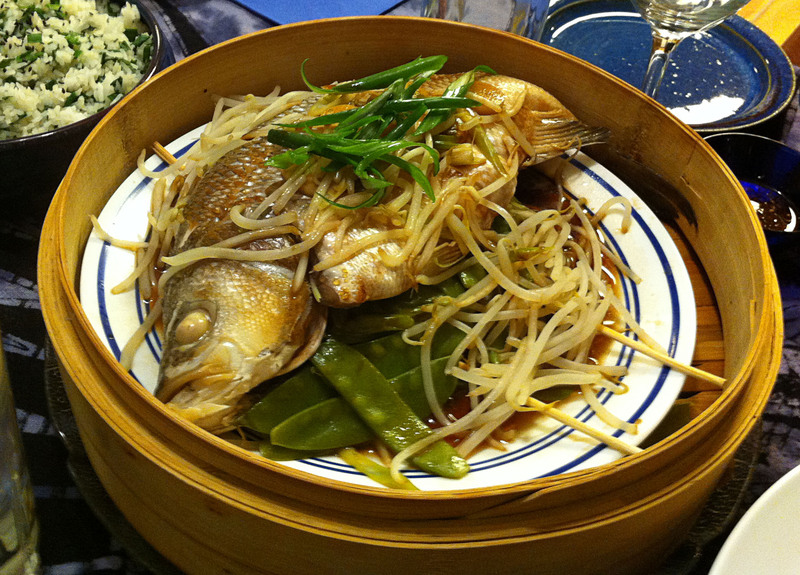 Steamed fish is something we had many times while we were in Chengdu, Sichuan, and in Hong Kong. It is actually a fairly simple recipe. I reconstructed it and I have continued to make it since we come back.